Everyone has heard of Black Friday and Cyber Monday, but have you heard of Small Business Saturday? Just as the holiday shopping season kicks off this Friday at malls and major retailers across the country and this Monday in online shopping carts across the world, the first holiday shopping day for small businesses comes after spending the Thanksgiving holiday with their families on Thursday and Friday. This year, Small Business Saturday will be held on Nov. 24. Small Business Saturday is a day for everyone — from the business owners who create jobs to the customers who buy locally — to support small businesses that invigorate the economy and keep communities thriving. Small Business Saturday is about supporting and celebrating the small, local businesses that consumers care about. Anyone can visit www.ShopSmall.com to learn about the ways to participate, share and support small business. Regardless of how you pay, we encourage all consumers to shop at their favorite small businesses on Small Business Saturday. It began in 2010 when American Express founded Small Business Saturday to help small businesses get more exposure during one of the biggest shopping weekends of the year. Last year, over 100 million people came out to shop at independently-owned small businesses on the day. Now, in its third year, Small Business Saturday will be even bigger. American Express is offering free and easy-to-use tools to help small businesses get the most out of the day and tools for consumers to show their support. If you are a qualifying small business, you can go to www.americanexpress.com/shopsmallmerchant and download personalized in-store signage that explains the offer. As a consumer, you are a key part in helping small businesses thrive. By shopping or dining at a small business this November 24th, you’re showing your support for all the small communities around you. This means you could be helping local entrepreneurs offer more jobs, which in turn invigorate the economy. 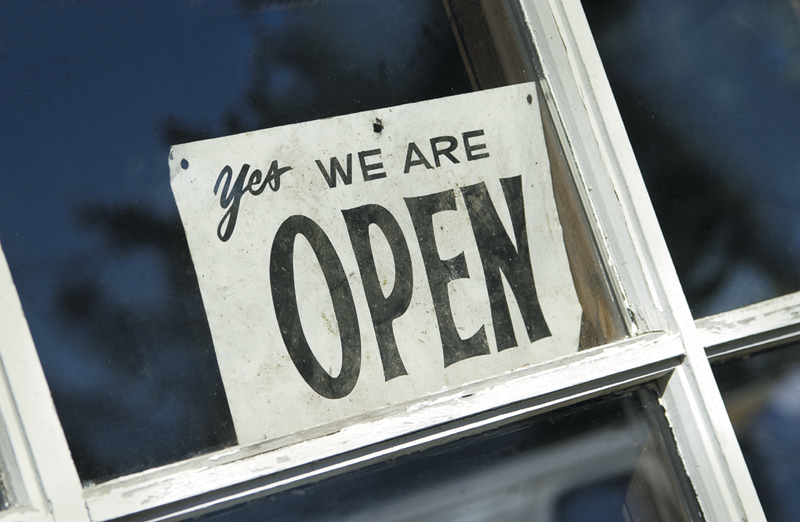 Last year, over 100 million people came out to shop at independently-owned small businesses on the day. This year, go out and support your favorite small business and search for savings on unique merchandise while experiencing spectacular service – a cornerstone of many small businesses. If you’re looking for a great guide to unique gift ideas in Tulare County, check out the Sun-Gazette’s Holiday Magazine gift guide in this week’s newspaper. For the third year in a row, American Express is offering Cardmembers the opportunity to get a $25 statement credit when they enroll their eligible American Express® card and then use it to spend $25 or more in a single in-store transaction at a qualifying small business location on Small Business Saturday. The number of enrollments is limited. Enrollment opens at midnight MST on Nov. 18 and continues until 11:59 p.m. MST on Nov. 24 unless the enrollment limit is reached sooner. Enroll your eligible American Express® Card at www.ShopSmall.com. Use your enrolled Card to spend $25 or more on a single in-store transaction at a qualifying small business location on Small Business Saturday, November 24, 2012. For information on qualifying small business locations, go to www.ShopSmall.com. Get a $25 statement credit from American Express within eight weeks. While SBS seems to have taken hold more on the East Coast and Midwest, it is slowly making its way across the West. David Hendrickson, founder of Hendrick’s Boards in Orange County, California said he used the opportunity to offer 10% off his custom apparel and skateboard decks used to rescue animals. Hendrickson said thanks to Facebook promotions and their website, they saw a 20% increase sales over the same day the previous year. For more information on Small Business Saturday, go online to www.smallbusinesssaturday.com or www.shopsmall.com.